Indus Valley Civilization research papers discuss the vibrant civilization that grew up along the basins of the Indus River, during the Bronze Age. Human civilizations emerged in several fertile river valleys in Africa and Asia, including along the Nile, the Tigris and Euphrates, the Yangzi and the Indus River in modern Pakistan and India. During the Bronze Age, a vibrant civilization grew up along the basins of the Indus River. At its peak, this civilization was home to over five million people. 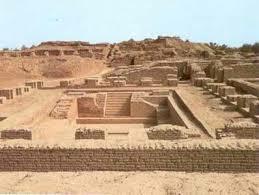 The Indus Valley Civilization is known for its metallurgy, urban planning, baked brick houses, and elaborate drainage systems. The Indus Valley Civilization is largely known for the first two sites uncovered by archaeologists, Harappa and Mohenjo-Daro, largely excavated in the 1920s. This civilization flourished between 2600 and 1900 BCE, encompassing most of modern Pakistan and northwestern India, as well as parts of Afghanistan and Iran. It developed along the rich agricultural lowlands around the various rives comprising the Indus drainage system. At its height, the cities of the Indus Valley were sophisticated and technologically advanced, characterized by planned urban centers with complex sewage and drainage systems. Such extensive planning indicated sophisticated government systems and a culture that placed high value on personal hygiene. The Indus Valley Civilization was also highly advanced in areas of measuring mass, length and time, and among the first to develop a uniform system of weights and measures. Paper Masters writes custom research papers on Indus Valley Civilization and discuss the vibrant civilization that grew up along the basins of the Indus River, during the Bronze Age.